NEW ROOF replaced 02/2019. 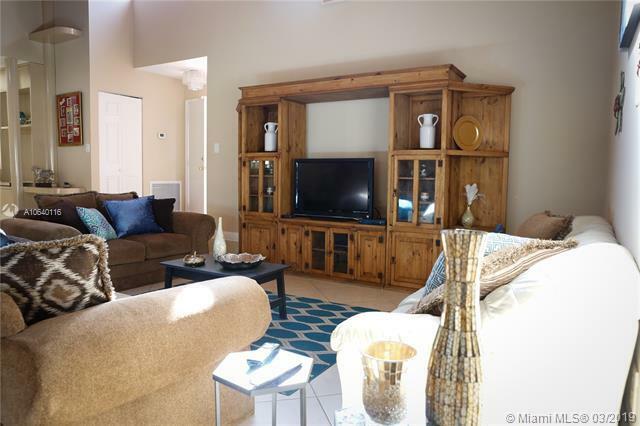 One story villa in the beautiful and desirable Woodmont area. 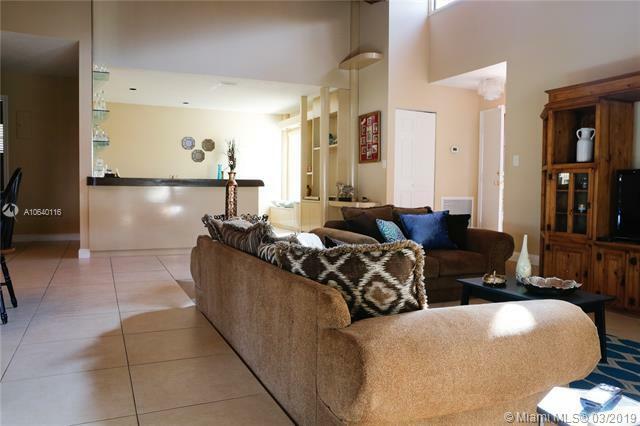 Large windows flood the living area with natural light. 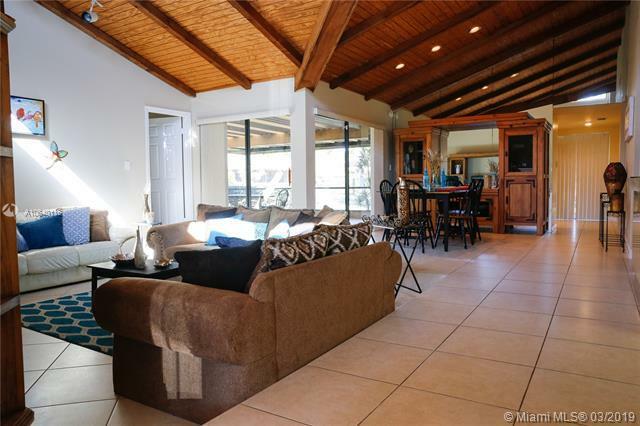 High vaulted wooden ceilings and updated large neutral color tile throughout gives a completely open feeling and split bedroom plan gives total privacy. 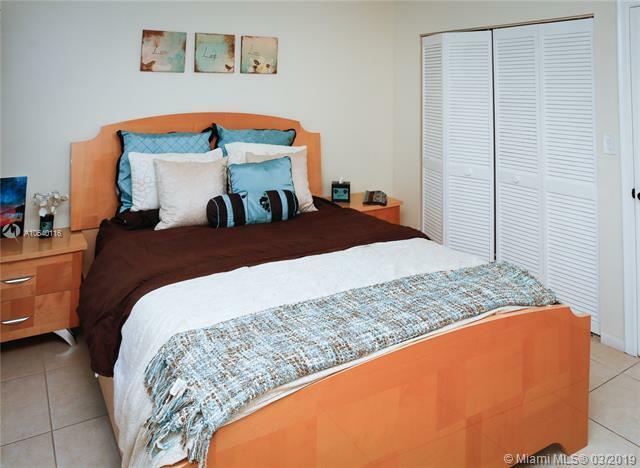 Master bedroom and en suite are enormous and contain two oversized walk in closets. Master has direct access to large Florida room and views of your two fruit bearing trees (mango and avocado) and one of the community's three pools. Updated kitchen with granite, double oven and breakfast area. 3rd bedroom currently used as den, easily converted. HOA provides lawn care, cable + HBO, regular and on demand pest control and exterior painting. All ages allowed. HOA requires 15% down payment,SOLD AS IS. Listing courtesy of Crown Homes Realty. Copyright 2019, Participating Associations/MLS’s in the SEFMLS, MIAMI Association of REALTORS, Realtor Association of Greater Ft. Lauderdale, South Broward Board of Realtors. All rights reserved. The data relating to real estate for sale on this web site comes in part from the participating Associations/MLS’s in the Southeast Florida Regional Multiple Listing Service cooperative agreement, MIAMI Association of REALTORS, Realtor Association of Greater Ft. Lauderdale, South Broward Board of Realtors. The information being provided is for consumers' personal, non-commercial use and may not be used for any purpose other than to identify prospective properties consumers may be interested in purchasing. Information is deemed reliable but not guaranteed. Copyright 2019, Participating Associations/MLS’s in the SEFMLS, MIAMI Association of REALTORS, Realtor Association of Greater Ft. Lauderdale, South Broward Board of Realtors. All rights reserved. Use of search facilities of data on the site, other than a consumer looking to purchase real estate, is prohibited. Data last updated 2019-04-22T06:42:47.607.